I contacted Greg about fixing a persistent mould problem in one shower and ended up having him work on all the bathrooms in our house, and the kitchen. Two showers needed major grout cleaning and sealing, and his team did my entire master en-suite: shower, vanities (repair of a crack in the marble, re-caulking), and cleaning /re-sealing the grout in the marble floor of the en-suite and another bathroom floor. He also replaced the plastic strip at the bottom of four shower doors that had become yellow and impossible to clean properly. I am so pleased with the results that I am planning to have my kitchen floors repaired, deep cleaned and sealed as well. We had a leak in our kitchen from a flat roof above after the April ice storm. Aryan was very busy but he came to the house when he said he would (we arranged for two days after my call but he actually checked in a day earlier). Aryan determined that the problem was with the caulking at the doorway and not the roof itself. As the roof was no longer leaking Aryan returned a few days later to do the caulking. Overall I was impressed with the responsiveness and the solution provided. Thank you Addrianne for taking time to give us this wonderful review. 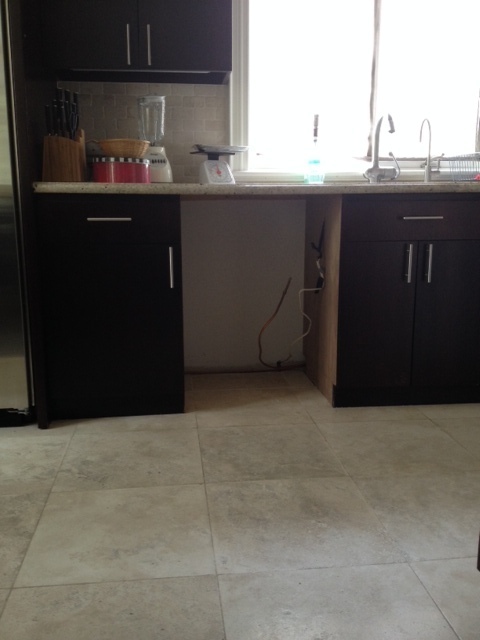 Our kitchen originally had two dishwashers, and when one broke we decided to put a cabinet in its place. We needed a custom cabinet built to match the rest of our kitchen. Luckily, we found Paul Gancman of Kitchenfix. 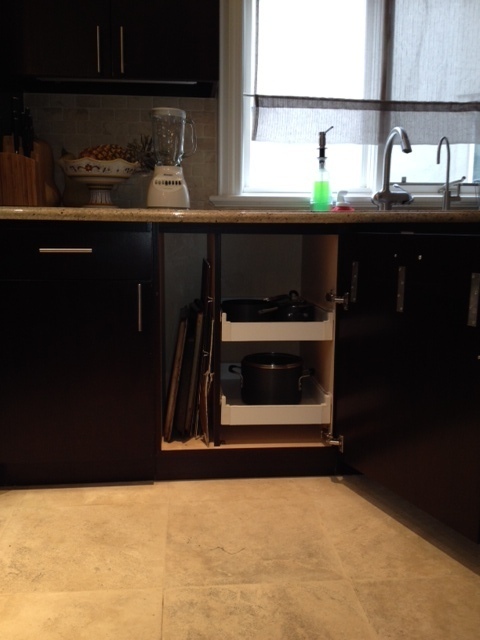 Paul provided a quote and was able to build a cabinet to our specifications (false drawer on exterior to match adjoining cabinet, tall vertical space for large baking sheets and two pull out drawers for pots). He made repeat visits to fine tune the stain to provide an extremely close match to our existing kitchen cabinets. It's nice to know there is still someone who is willing to take on small jobs and provide excellent quality. I would definitely call Paul again for any kitchen repairs. We hired Jovian Miller (Stone Landscaping) to clear our weed-choked back yard, and build a stone patio, lay out gravel paths, handle the planting of eight trees and an extensive perennial garden, re-sod the lawn, and upgrade, repair and extend the existing irrigation system. Our experience was very positive. Jovian quickly answered my initial request for a quote. The job started on time and was finished in the time scheduled. Jovian was flexible in handling small additions to our project (examples: a gate, posts for a trellis). Jovian and his crew are professional, courteous, and respectful. I appreciated that Jovian was at the site working along with his employees each day. If I had any questions in the evening, Jovian was easy to reach by e-mail. Each evening our property was left very clean. Our back yard has been transformed into a beautiful space faster than I would have thought possible. Thank you for your kind response, you tested us on this project and it was fantastic to see the end results. Truley, thank you for your trust, and for choosing Stone Landscaping, we love what we do.